The Wolves, named this year’s Design of the Year by Eater LA, will debut its exclusive cocktail experience called Le Néant tomorrow evening in the back space of their Downtown LA establishment. French for “nothingness,” it takes a similar vibe of a Japanese-style omakase with no set menu and just a list of farmers market ingredients for guests to choose. Anyone wanting to visit will have to get a paid reservation first on Resy, which costs $44 and comes with two drinks and an aperitif, according to Food & Wine. For the month of December, Le Néant will only operate on Thursday evenings, though it opens to expand days come 2019. Tomorrow evening’s opening is actually already booked, though there are a few spots for the rest of the month, with two seatings per evening beginning at 9:30 p.m., and another at 10:30 p.m. 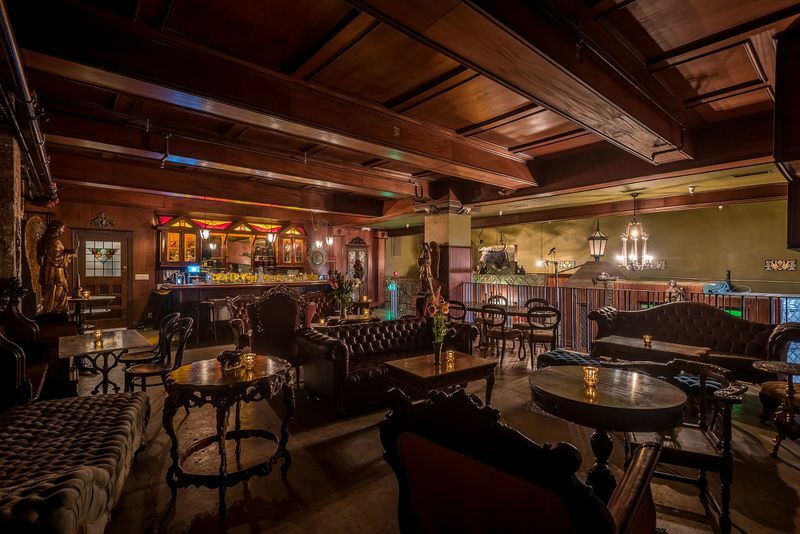 The sprawling lounge has room for about 20 patrons, plus seats up at the bar for anyone that wants to watch barman Kevin Lee assemble drinks. Check out the opening “menu” of ingredients, whereupon Lee will construct cocktails based on the preferences of each person. If someone doesn’t have particular preferences, the bar will decide for them. This month’s ingredients include strawberry guava, Hosui pears, round baby carrots, black truffle, and golden enoki mushrooms all grown or produced locally, with the exception of those truffles. “Exclusive Omakase Cocktail Bar Le Néant Debuts in Downtown LA This Week.” Eater LA – All. https://la.eater.com/2018/12/5/18127943/le-neant-the-wolves-cocktail-omakase-farmers-market-bar-opening.